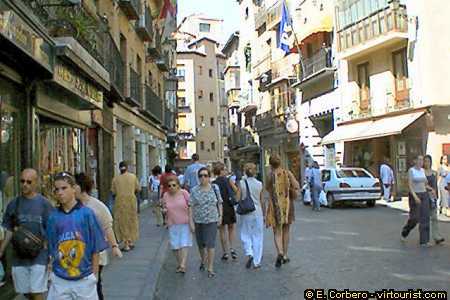 Many visitors come to Toledo (especially in summertime) as you can see in the photo. Originally a Celtic City, Toledo (it currently has 60,000 inhabitants) was invaded in 193 BC by the Romans who named it Toletum. Muslims invaded in the 8th century and stayed until the 11th century, when the Catholic King Alfonso IV of Castilla conquered the city.